THE XENA SCROLLS: An Opinionated Episode Guide (115 & 116) | THAT'S ENTERTAINMENT! The Warrior Princess learns that life as a blue blood can be a royal pain in the neck when she stands in for a lookalike princess whose life has been threatened by assassins. Additionally, while early episodes attempted to strike a balance between the stories’ inherent seriousness and some much needed humor, this is the first script to really dedicate itself to the latter, ensuring that, for fans who feel the need to label the episodes by genre (and I admit that sometimes I fall into that category), this one can be called a comedy. Of course, the premise sort of sets itself up for that: Xena has a twin double! This is the sort of fare we’ve seen in Gilligan’s Island, Bewitched, and Patty Duke. And while the next excursion in the “Xena plays doubles” category will be five times as funny (due in large part to the addition of a third lookalike – the incorrigible Meg), for its place in the first season, “Warrior… Princess” is extremely appreciated. 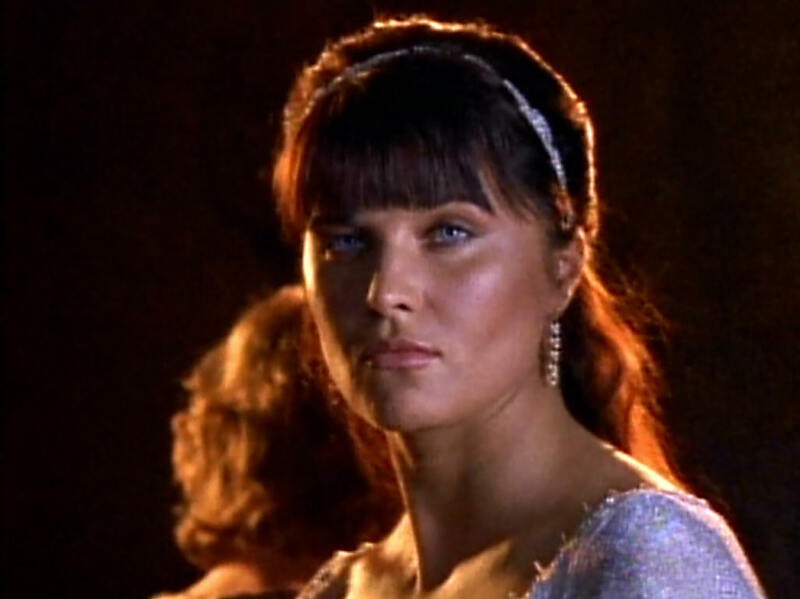 A visit from the ghost of her beloved Marcus prompts Xena to travel to the Underworld — where a madman has stolen Hades’ Helmet of Invisibility. This is one of a few episodes of this series that seems to spark alternating opinions each time I watch. I think it’s easy to view the episode for the first time and automatically consider it a highlight of the season. The story is extraordinarily cool: Xena goes to the Underworld to reunite with Marcus and defeat a warlord who has intermingled Tartarus and the Elysian Fields by stealing Hades’ helmet of invisibility. 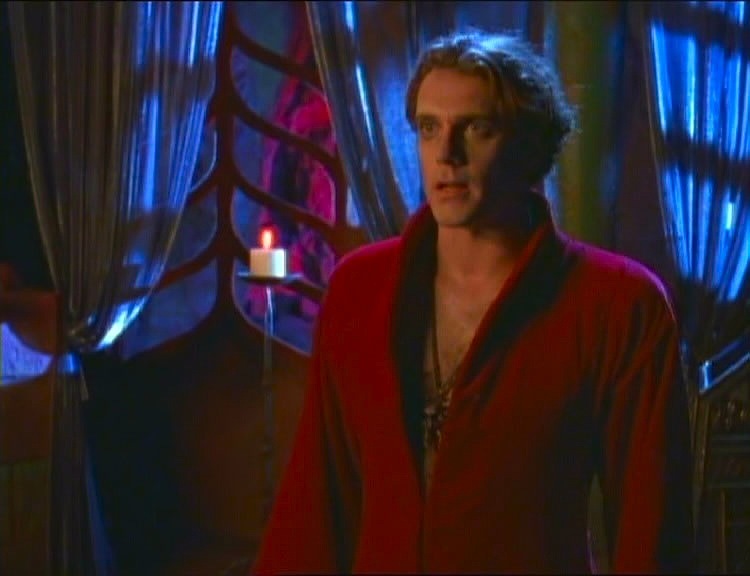 Then, when he escapes to the living, Xena and Marcus (who has been granted a brief reprieve) must come back and stop him. It’s brilliant – a nice mix of mythology (Hades, Harpies, and Charon) and classic Xena (read: dark) storytelling. But what also stands out in this episode is its raw emotion; everything is heightened – from the terror of Atyminius to the passion between Xena and Marcus. 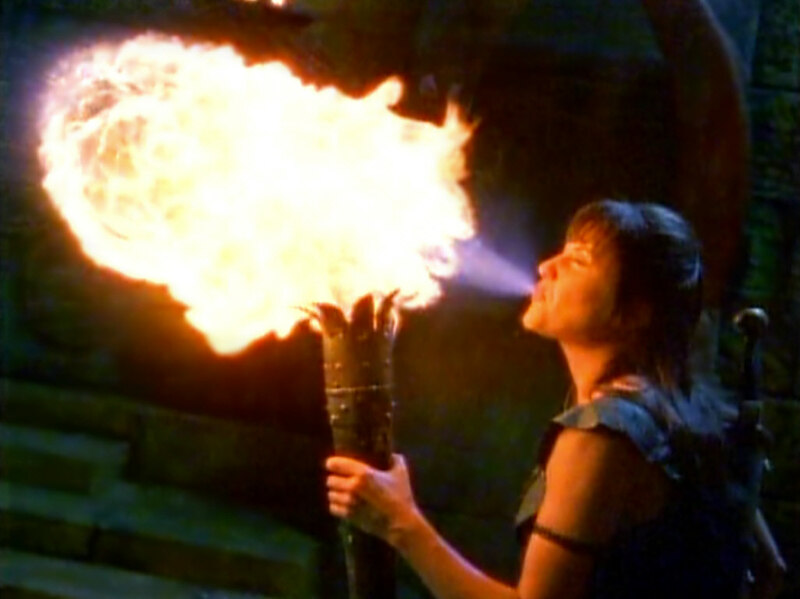 Initially, this grandiosity is a draw, but the more I’ve viewed the episode, the less I’ve been impressed with its out-of-character presentation of Xena. Now, don’t get me wrong, I LOVE the Marcus character (the bad boy with a good heart who could have done great things had he not died a noble death), but this isn’t the Season One Xena – she’s not a lovesick fool. I’m all for the loosening of the character (see my comments on the above episode), but this is too jarring, especially since it’s a one-time thing. And ultimately, this out-of-place feeling is what keeps this episode from consistently earning my favor. Come back next Thursday for the next two Xena episodes! And tune in tomorrow for another Myrna Loy film!